The VX-2 - Good to the Bone This smaller, slimmer Vectrix is the perfect machine for lower-speed urban neighborhood and small-town trips. Its impressive 40 - 55 mile range lets you zip past gas stations - and even charging stations - as you go. And its 30 mph cruising speed - faster than the popular neighborhood electric vehicles (NEVs) - let you keep up with traffic on any road with a speed limit below 35 mph. Recharge Time: 3.5 - 5 hrs. 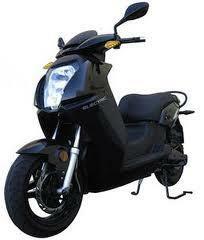 Acceleration: 0 - 30 mph (0 - 45 km/h) in 7 sec.